There's been a lot in the media lately about the impacts of parental talk on children's language development. Some of it has been opinion, as in this piece in the Daily Telegraph, in which the headline proclaimed that children were "starting school unable to speak". This reflected the views of a head teacher, who claimed that the proportion of children with poor language skills had increased in his lifetime, and that this was the fault of parents who did not have time to talk to their children any more. There is nothing new here: versions of this story pop up every few years or so (here's one from 2003, and a blogpost on another case from 2011): Editors know that stories about feckless parents sell newspapers: readers love the sense of complacency and moral superiority they induce. But there is also more evidence-based stuff. Some children do have serious difficulties mastering spoken language, and there is research demonstrating links between parent talk and child language outcomes. We've known since the influential study of Hart and Risley (1995) that there is massive variation in the amount of language children are exposed to at home, and this is predicted by socio-economic status. There are many subsequent studies showing positive associations between aspects of the language that babies and toddlers hear and the rate and complexity of their language development. When the Guardian ran a piece last week on the latest of these studies, someone tweeted "do we really need a study to demonstrate that?" – to most people it's blindingly obvious that children's language development will be determined by the language that they hear at home. This assumption is shared by many professionals in the field of language development; for instance, in a recent review, Leffel and Suskind (2013) describe poor attainment of children from disadvantaged homes and unambiguously state: "Parent linguistic input lies at the heart of the problem". Except that it's not so simple. And the complexities become apparent when we look at the type of evidence that we have, which is mostly correlational. Students learn in Psychology #101 that correlation does not equal causation, yet when a causal interpretation seems so obvious to most people, this can get forgotten. I have lost count of the number of times I've seen a study showing that parent talk predicts child language development, where the conclusion drawn by the authors (and press offices and the media) is that limited parental language causes child language problems. No other explanation is even countenanced. Yet if we were well taught in Psychology #101, we would realise that we need to consider alternative explanations for the observed association. The figure below shows three possible causal models; these are not mutually exclusive and so all could play a role. Model A is the one that is typically assumed by most people: parent talk to children boosts their language development, and accordingly, if a child has poor language skills, this is likely to be caused by inadequate talk from parents. In Model B, the association goes in the other direction. Poor language in the child leads to less talk from the parent. This could occur if, for instance, parents are discouraged from talking to a child who is unresponsive and appears not to understand. Consider too, this recent study looking at outcomes of infants in a special care baby unit . Children who were exposed to more adult language in hospital had better language outcomes; however, as the authors noted, "It could be that parents and caregivers have more opportunity to talk to infants who are less sick." Model C explains the association without postulating a direct link from parental talk to child language. Instead it sees both of these as outcomes of some other cause. This could be an environmental factor, such as poor diet, or a genetic risk that is shared by parents and their children. It is the job of researchers to try and find evidence to establish the relative importance of these different causal routes. In the case of child language, this is not just a theoretical exercise: it potentially makes a difference to the kinds of intervention that are likely to be effective in helping children. In particular, if model A is the main explanation for the association, then we should be able to boost poor child language by encouraging reticent parents to interact more like talkative parents. This is unlikely to be effective if model B explains the association. And if model C applies, then we would need to either modify the third factor (X) itself, or clarify how it operated in order to alter its association with poor outcomes in children. I am concerned about the near-universal acceptance of model A as the sole explanation, because there are two lines of evidence that go against it. First, we can to some extent disentangle the impact of socioeconomic disadvantage and parental talk if we study children whose parents produce little spoken language input because they have a congenital hearing impairment. Some profoundly deaf parents have children with normal hearing. In the past there was concern about such children: how would they learn spoken language if their parents produced little intelligible speech? In fact, the studies that were done obtained unexpectedly positive results, leading to the conclusion that although young children clearly need some exposure to spoken language in order to learn to speak, they could develop normal language on the basis of exposure to other adults outside the home and language on TV (Schiff-Myers, 1988). The second line of evidence comes from studies that disentangle genetic and environmental influences by considering language development in twins. If parental talk is an important determinant of child language, then we would expect twins growing up together in the same home to resemble each other. However, if model A is all-important, we would not expect the genetic relationship between the twins to have any effect. But it does make a difference, and on many language measures this effect is quite substantial. So we find that twins do resemble each other in general, but that resemblance is quite a bit higher if the twins are genetically identical (monozygotic) than if they are fraternal (dizygotic, and sharing around half their DNA for genes that vary between people). I remember being struck when I first did twin studies of children's language difficulties at how different two twins growing up in the same family could be – provided they were non-identical. It was, however, unusual to find identical twin pairs where one had a significant language problem and the other was unaffected. The overall pattern of results tells us that the child's genetic makeup plays a role in determining their language development (Bishop, 2006). So what has this to do with models A, B and C? Quite simply, the twin data support a version of model C: given that genes affect language development, we expect parents (who share around half their genes with their children) to resemble their children. We already know that parents of children with language impairments are more likely than other parents to have some kind of language or literacy problem themselves (Barry et al, 2007). This doesn't affect everyone: of course there are many literate and articulate parents whose children have language difficulties. But on balance, these kinds of difficulties run through generations, and we therefore expect to see an association between limited language ability in parents and language difficulties in their children. Note that a genetic account will also predict that language difficulties in children will predominate among those of lower social-economic status: parents who themselves are language-impaired are likely to have low levels of educational attainment and poor occupational prospects. This kind of genetic explanation for parent-child similarities has a lot of evidential support, but people are very reluctant to accept it. If you propose that genes may play a role in children's developmental difficulties, people will tend to assume that you have a political agenda aligned with the Third Reich, with a goal of identifying a genetic underclass who should not be helped because they are just 'made that way'. This reflects a wrong-headed genetic determinism that is at odds with contemporary understanding of how genes work. Genes do not determine your fate: their impact is likely to vary according to the environment, and by modifying environments we may alter outcomes. Unlike in model A, though, model C predicts that sensitivity to specific environments may depend on one's genes. The arguments have been cogently put in a recent book by Asbury and Plomin (2013), who lament the way in which genetic influences on children's development have been ignored in favour of a political stance that blames educational and developmental difficulties on either poor parenting or poor teaching. If, as has been repeatedly shown, there is evidence that genes are important in influencing children's language development, then we may be squandering our intervention resources by ignoring this fact. The bottom line is that we need more research. Well-conducted randomized controlled trials on the impact of modifying parent input have been thin on the ground to date, and have not generated impressive evidence of efficacy (see my earlier blogpost) . Obviously, it's early days, and I'd cheer on others who are attempting such research. Results may depend on the nature of the intervention, the aspects of language that are assessed, and the type of population the intervention is used with. My suggestion is that rather than denying the reality of genetic effects, we should be conducting research to find out what kinds of input are most effective for children who are at genetic risk. It is possible that rather than more language input, they may do best with a different kind of language input, specifically tailored to take into account their cognitive strengths and weaknesses. We are a long way from understanding how best to do this, and meanwhile, ingenious and dedicated practitioners are working hard to tackle the very real problems that some children experience. My message is simply that to lay the blame for these difficulties at the door of parents, and to anticipate that problems can be readily overcome by encouraging parents to talk more to their children may be oversimplistic. People seem to have little difficulty in accepting the modifiability of "environmental" effects on human development. If a child has had bad teaching in mathematics, it is accepted that the resulting deficiency can be remedied by extra good teaching the following year. But any suggestion that the child's mathematical deficiency might have a genetic origin is likely to be greeted with something approaching despair: if it is in the genes "it is written", it is "determined" and nothing can be done about it: you might as well give up attempting to teach the child mathematics. This is pernicious rubbish on an almost astrological scale ..... What did genes do to deserve their sinister juggernaut-like reputation? Why do we not make a similar bogey out of, say, nursery education or confirmation classes? Why are genes thought to be so much more fixed and inescapable in their effects than television, nuns, or books? Asbury, K., & Plomin, R. (2013). G is for genes: The impact of genetics on education and achievement. Chichester: Wiley Blackwell. Barry, J. G., Yasin, I., & Bishop, D. V. M. (2007). Heritable risk factors associated with language impairments. Genes, Brain and Behavior, 6, 66-76. Hart, B., & Risley, T. R. (1995). Meaningful differences in the everyday experience of young American children. 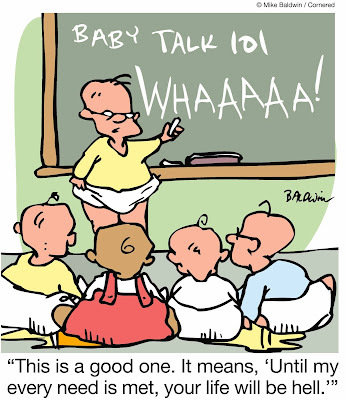 Baltimore, MD: Paul H. Brookes Publishing Co.
Bishop, Dorothy V M (2014): Parent talk and child language. figshare. I would think the real model of language development is a combination your Models A, B, and C. It's like Model B, but with a causal arrow from Parent Talk to Child Language Time 2, too, and additionally a Risk Factor X which affects both Child Language 1 and 2 and Parent Talk. See also this this study. Great read. The model A approach also leads a lot of parents who could raise their children bilingually to believe the 'myth of time on task' (to steal Fred Genesee's words) where their children are doomed to fall behind if exposed to two languages. Of course, despite less input in either language, this isn't what happens. Thanks for being the voice of reason here once more. But I think there's even more complexity to be had. The problem is that most researchers in language development, particularly in the educational context and learning impairment context (rather than pure language acquisition) have a very impoverished view of what constitutes language. (See here for an overview of things to know: http://metaphorhacker.net/2012/09/the-complexities-of-simple-what-simple-language-proponents-should-know-about-linguistics/ and http://metaphorhacker.net/2014/01/5-things-everybody-should-know-about-language-outline-of-linguistics-contribution-to-the-liberal-arts-curriculum/). The typical language teacher finds it hard to distinguish whether the source of a child's inability to speak comes from lack of vocabulary, communicative reluctance, dialect interference, syntactic/morphological limitations or a genuine language impairment. Some of these would have a clear correlation to exposure (which the school should provide) and others much less. For example, it doesn't seem to matter how rich a morphology a language has, children seem to acquire it even with very impoverished input. The same goes for some fundamental syntactic constraints (e.g. the famous coordinate structure constraint). That's what Chomsky's 'poverty of the stimulus argument' is all about. We also know that crossculturally the amounts and types of language exposure vary enormously. So at the very least, we know, it's not parents, but general environment that plays a role (most notably siblings and older peers in many cultures). However, we also know from Ewa Dabrowska's research (and others in the Tomasello tradition) that internalizing basic syntactic principles like recursion does not mean a person can process recursive sentences of any complexity. And exposure seems to be a clear correlate here (professors are better than undergrads who are better than cleaners at the same institution). Knowledge of vocabulary is also almost ex definitio related to exposure. But it is not clear what and when that exposure needs to be. There seem to be no limits to how many words we can know as studies on bilinguals show. And they can acquire them far past any putative critical developmental period (I don't think I've learned half the words in this comment before I was 22). There are also cultural factors such as patterns of interaction (famously African American adults do not ask their children the types of questions their teachers ask them). And lets not forget about the generations of Scots speakers being told that they speak 'bad English'. So when we talk about the impact of different environments on language development, we should ask development of what language? There are many syntactic features that seem to require some level of maturation that simply switch on between 9 and 11 for most children in school. How about development in the ability to construct a narrative? How about development of humour and figurative language? The studies I've looked at about problems with metaphor processing in autism seemed to be utterly confused about what constitutes a metaphor (it was some time ago, so things may have improved). I read the Telegraph article in shock. Beginning with "Children are starting school barely able to speak because their parents are too busy to talk to them, a leading teacher has warned." makes me question the basic competence of the 'leading' teacher or the journalist (or both). No mention of evidence or how it is measured. A population of 4-5 year olds half of whom have vocabularies of 30-50 words would be a rare find on which scientists should converge as if a new uncontacted tribe was discovered. Or it could be that somebody with no competence, empathy or responsibility is in charge of measuring the children's language ability. We don't just need more research, it seems, we need a campaign to save our children from irresponsible scare mongers. Yes, a great read and a beautifully structured piece, Dorothy. One thing you don't talk about though is the different practices adopted by different cultures. For example, Clifford Pye (1986) described the Quiche people of Central America as not modifying their speech in interactions with their children in the way that is common here. He says: 'Vocal interaction between infants and parents is minimal ...They certainly lack any concept of talking with their children for the sake of stimulating their linguistic development.' (Page 86) In spite of this, Quiche children grow up to be fluent speakers of their (indigenous Mayan) language. Brice Heath's work with black communities in south-west USA also found that parents were less likely to address their children using child directed speech (baby talk) than is common here. Of course, there are methodological problems here to do with researchers from one culture studying people from another culture and making unreflective cultural assumptions about the kinds of interactions that are taking place. In addition, there are also other issues to take into consideration, such as the fact that a good deal of 'pre-verbal behaviour has a conversation-like structure' (Bancroft in Mercer and Swann, 1996) and it must be difficult to determine precisely how much this contributes to a child's linguistic development. As both you and Dominik make clear, there needs to be much more research and far less anecdote. But then it's mostly the anecdotal that the media is interested in. The causal-correlational confusion in the understanding of child language development, so well-explained in the postblog, unfortunately spills over to education and instruction. That is, the research is interpreted to promote fatally flawed initiatives. Rather than seeking to build on minimal language prerequisites, effort is focused on eliminating or decreasing deficits. Trying to ameliorate deficits is a loser for two reasons: first, the Matthew Principle that the rich get richer and the poor get poorer, and second, it fails to capitalize on the child’s “natural” development apart from the intervention. Identifying the minimal prerequisites and building on those assets is a much more productive enterprise. An infant with pre-speech capability can be taught to communicate with “Baby Signs,” developed by Acredolo and Goodwyn. These infants will have a larger “vocabulary” than the “80 words” alleged in the Guardian article. A child who can speak in full sentences and to participate in everyday conversation can be taught how to read with appropriate Alphabetic-Code based instruction. Few children in the Hart-Risley study would lack the necessary prerequisite, and the instruction would “immunize” them from the “specific-learning deficits” and “dyslexia” that become identifiable only years later. The “how to” technology for these instructional accomplishments is realized not through “research” but through the “D” in “R&D”, a missing element in the education sector,. “More research” is certainly needed, but research only begats more research—a never-ending frontier. To obtain reliable means of accomplishing specified intentions—technology –entails a different modus operandi. But that’s a whole nother story.